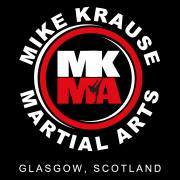 Phase one focuses 70% of the training on Jun Fan Kickboxing, the other 30% is divided between trapping, standing grappling and ground grappling. Single stick, double stick and single dagger. The goal during this phase of training is to develop the students attributes and overall awareness. There is a lot of light contact sparring and the use of training equipment. This Phase focuses 70% on Jun Fan Trapping methods and various close quarter fighting methods. Numerous drills from Wing Chun and Kali are incorporated into various trapping drills and combinations. Students learn specific trapping drills for Boxers and Kick boxers. Eventually the training sessions lead to students sparring with bag gloves and head gear. Students still practice Jun Fan Kickboxing however they spar more intensively, the other 30% of training is divided between grappling, single stick, double stick and dagger disarms. This phase of training is focused 70% on Filipino Kali (Inosanto Method). The training involves single stick, double stick, stick and dagger, Espada y daga and dagger vs dagger. Students will spar with stick, dagger and empty hands against weapons. 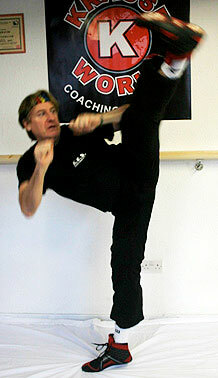 Student will continue to practice Jun Fan Kickboxing, trapping and grappling and develop the 5 ways of attack.